Pump Included. Arrives Ready To Go! 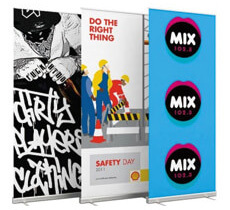 Make a fantastic impression at your event with our range event displays and trade show booths consisting of marquees, banners and signs! don't settle for second best when making a first impression. Whether you're having a private event like a wedding or party, whether you're advertising your business to customers, or you're putting your best foot forward at a big convention — the impression you make with your presentation will last forever. 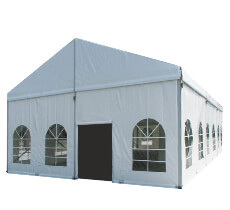 Only Event Display offers you the best price, the most reliable delivery times, and the highest quality for your custom marquees and banners in Australia. 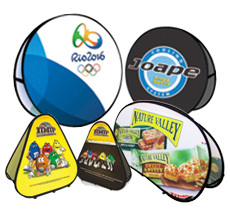 Ordering things like banners, flags, event displays and other branded display products used to be a real pest. You had to organise a designer to draft your artwork and then organise with a printer to have your items made and then go and pick them up from a warehouse or depot. 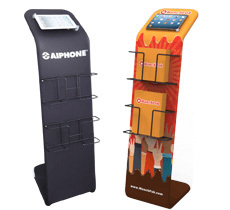 No longer is this the case because Event Display make ordering a complete cinch! Let us design you a complete solution. Our team of designers will take your logos and any other files you are able to provide to us and create you any display product you desire. 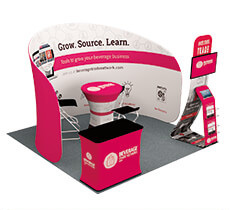 From something as simple as supplying us with your business card our team can design you a complete exhibit booth display package, portable pull up banners or perhaps an eye catching media wall with your sponsor brands. 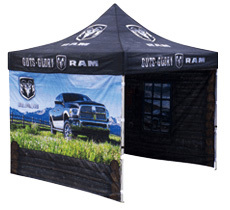 A well designed and well made pop up booth will draw the attention of people passing by at conferences, trade shows and events and is certain to generate you more business. We recently bought a 4m x 4m marquee and couldn't be happier. Excellent service from Jason and product is fantastic at a great price. Thank you. such an impressive service and product from Jason. I called late Friday for a very quick turnaround on a tablecloth and my client received a wonderful product early the following week. Jason really went above and beyond to help us. I can't recommend this service enough! Positively professional. Awesome customer service. Delivered goods ahead of schedule. Very trustworthy. 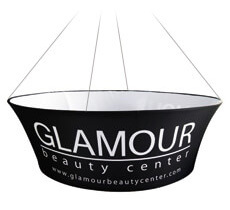 Why Choose Us For Your Event Signage Needs? • Do you want the best looking items designed by us using our free graphic design service? 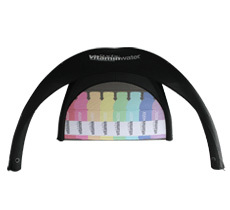 • Do you want to save money by ordering direct from the manufacturer? 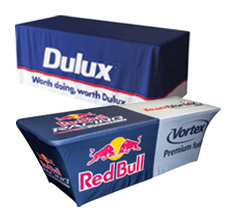 • Is it important to you to make a solid impression to potential clients at a trade show, event or expo? • Wouldn't it be nice to buy something manufactured to strict standards with a bomb proof warranty? • Do you want reliable, on-time delivery? 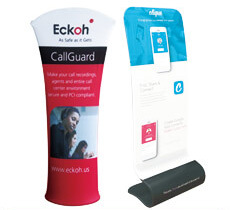 If you answered yes to all of those questions then Event Display is the answer to all your event signage needs! Take advantage of our Price Beat Guarantee. 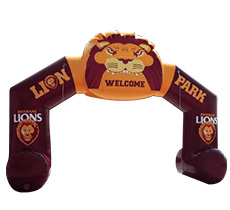 We will beat any of our competitor's prices on an exact item from an Australian event or expo displays company. Just send us a written quote from one of our competitors and our team will beat that price! We take individual care of each and every order we receive, with quality checks at each stage of the design, manufacture, and delivery process. If you can dream it up, we can create it for you! And all without a bit of hastle to you the customer. 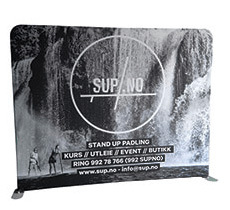 As well as the old favorites like printed marquees, banners, star tents, signs, floor stickers and display stands we offer a custom production and custom sourcing service that is second to none. We do it all and more! So If you need something, just ask! Our specialty is creating exactly what you need to do the job. Choose from among our many ready-to-deliver designs, or work with our design team to create something new and unique just for your event. Tell us exactly what you want and watch us go to work... Or come to us with your questions and let our years of experience help you decide what kind of presence you want to create at your next exhibition or conference. 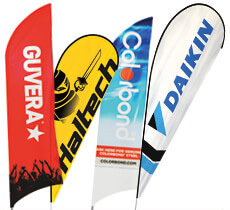 We'll coordinate all of your printed banners, feather banners, flags and signs, so you present an attractive, professional impression to everyone who sees you. Our in-house graphic design service is free. It's our pleasure to design your items so they look just how you want. Event Display is owned and operated right here in Australia by people who care, with years of experience in the industry and we are proud to be the industry leader in event displays for the entire nation. 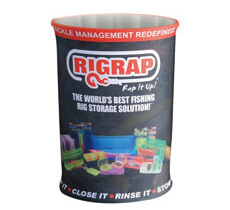 We deliver our event and expo displays to all major cities: Sydney, Melbourne, Canberra, Darwin, Perth, Brisbane, We also deliver to rural areas usually with no additional lead time!